American History with Discovering Black America. Her experience includes being managing editor of The Million Man March, contributor and researcher of The Family of Black America, co-editor of Black Star Power: BET Celebrating 20 years and the author of Discovering Black New York. 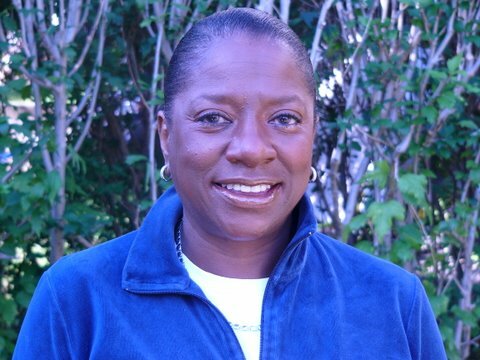 It is with great honor that we spotlight Linda Tarrant-Reid on Day 24 of our 28 Days Later Program. I was recruited into the Doubleday Editorial Trainee Program directly from the campus of Hampton Institute, the historically black college in Hampton, VA, in the early 1970s. As an English Major, with a deep interest in African American history, working at a publishing house was intriguing. I knew a little bit about the industry, so I jumped at the opportunity. After interning in various departments including Books for Young Readers, Trade, Sci-Fi, Anchor Books (academic paperbacks) and the Unsolicited Manuscript Department, I landed, with the help of my Editor/Mentor, in the Trade Division working on bestselling books. Eventually, I made my way back to Anchor Books, where I became the assistant to Marie D. Brown, the renowned editor and now literary agent. While in Anchor, we edited the Zenith Series – books for young readers on African American history and culture – as well as major non-fiction books by major authors of the Black Arts Movement. It was a heady time and I learned everything one needed to know about the book making process – from nursing accepted manuscripts through production to published books to the marketing/promotion and bookstore placement of the final products. After Doubleday, I took a position at ABC-TV in Prime Time Development, still working with books but this time for adaptation to the small screen. I was there when Alex Haley’s “Roots” was made into a mini-series. Following my stint at ABC, I freelanced several literary projects as Managing Editor, including The Million Man March, The Family of Black America and Black Star Power: BET Celebrating 20 Years. I finally decided it was time to write my own book and wrote Discovering Black New York: A Guide to the City’s Most Important African American Landmarks, Restaurants, Museums, Historical Sites, and More. It received modest notice from reviewers and I was on my way. I am relatively new to this generation of children’s book publishing but I have been inspired by the work of Tonya Bolden, the author of many award-winning books including Maritcha: A Nineteenth-Century American Girl and M.L.K. : Journey of a King, who writes lyrical passages that make history come alive! As for illustrators, I think Eric Velasquez is a phenomenal talent with his realistic renderings of real people. It adds another dimension to the written word for young readers to see everyday people being portrayed on the pages of their books. And of course, Kadir Nelson, I love his work and now his words! I was introduced to my current publisher via email by a friend. I sent a very short pitch email describing my concept and was invited in for a meeting. I do not have an agent, so when I was offered a deal I negotiated it myself. 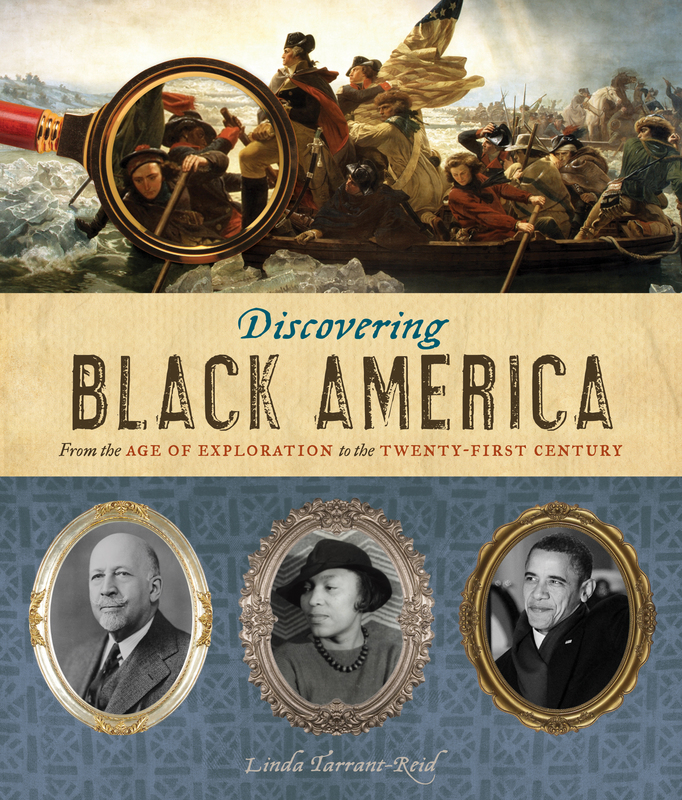 Discovering Black America, which was published in September 2012, has received starred reviews from Kirkus Reviews and PW, as well as praise from School Library Journal, Booklist and Library Media Connection which ‘highly recommended’ the book. DBA was also selected by Kirkus as among the “Best Children’s Books of 2012” and by NPR as one of the “Best ‘Backseat’ Reads of 2012.” DBA also made Essence magazine’s Holiday Shopping & Web Guide in the December 2012 issue. And recently, Discovering Black America was selected for Notable Social Studies Trade Books for Young People 2013 list, a cooperative project of the National Council for the Social Studies (NCSS) and the Children’s Book Council. I have also been interviewed by reporter Tracie Strahan on WNBC-TV’s “Positively Black,” for the “Urban Agenda” show on KMOJ-FM, the oldest Black-owned radio station in Minnesota, and “Harlem 411” on WHCR-FM, Harlem Community Radio which is broadcast from City College of New York. Various organizations have hosted book events including the historic ThomasPaineCottageMuseum where Academy Award-nominated actress Ruby Dee read from DBA. In Your Opinion, What is the State of the Industry? I just read this informative article in PW on “The State of African-American Publishing” and basically nothing is new under the sun. It is still a struggle for African American writers to gain access to the halls of traditional publishers, especially with the consolidation of publishing companies morphing into giant media conglomerates and the rise of the “Big Six” Book Publishers – the Hachette Book Group, HarperCollins, Macmillan, Penguin Group, Random House and Simon & Schuster. Options for writers wanting to pursue a traditional path are limited and with the potential merger between Random House and Penguin, options are really limited. So, many with a story to tell have taken to self-publishing which is what the 21st century is all about, doing it yourself! So, I salute all of the ingenious writers and authors who have put their work out there. I do feel that children’s book publishing has also felt the impact, but it seems that there is a market, which we need to expand, for books on the African American experience and the African Diaspora. With school districts across the United States adopting the Common Core Curriculum, there will be a need for books that speak to foundational history with research, primary sources and resources that will add to the students’ educational experience in a holistic way. I really love photography and journalism and we need more solid nonfiction which shows the lives and worlds of brown folk, so Linda Tarrant-Reid, thank-you very much. What an impressive career! We don’t often get to know the faces behind the nonfiction texts, but like you, I too believe that will be changing with the Common Core Curriculum.